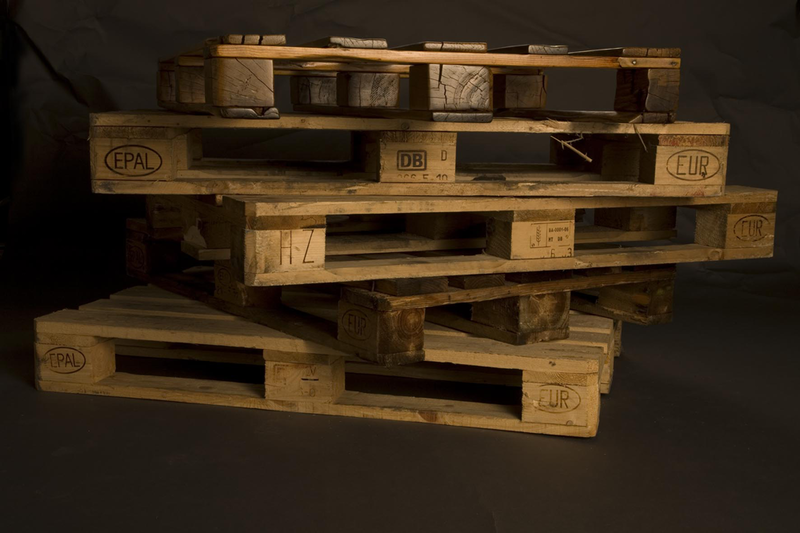 The Euro pallet is one of the last self standing objects which avoided beautification* of the contemporary market demands. 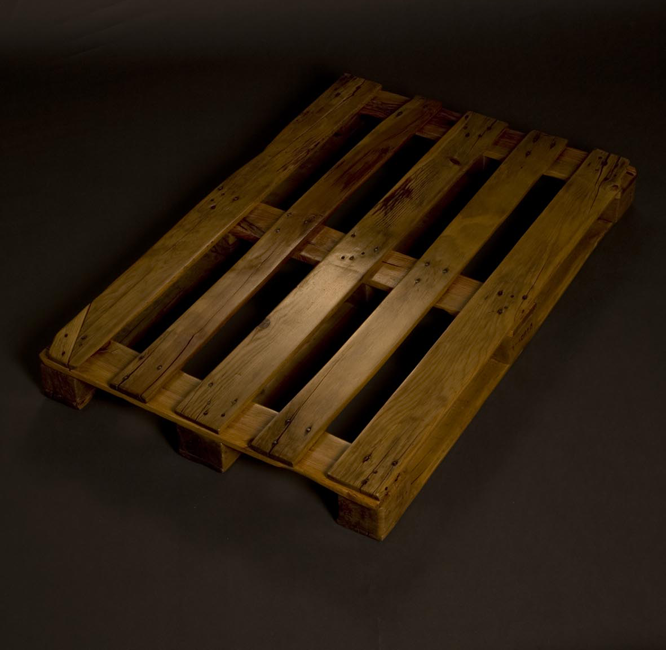 An abandoned and damaged Euro pallet was painstakingly treated with shellac until it became purely aesthetical object. 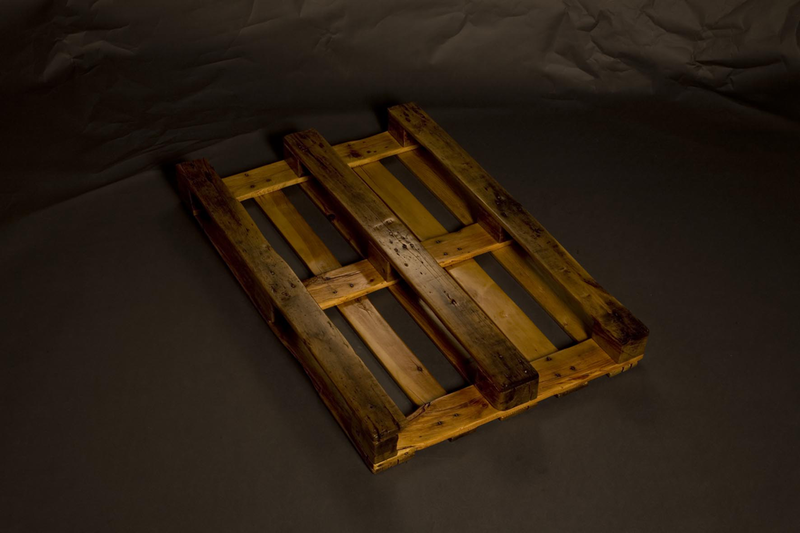 * Meanwhile the production of the plastic pallets was established and its possible to choose different colors and patterns.